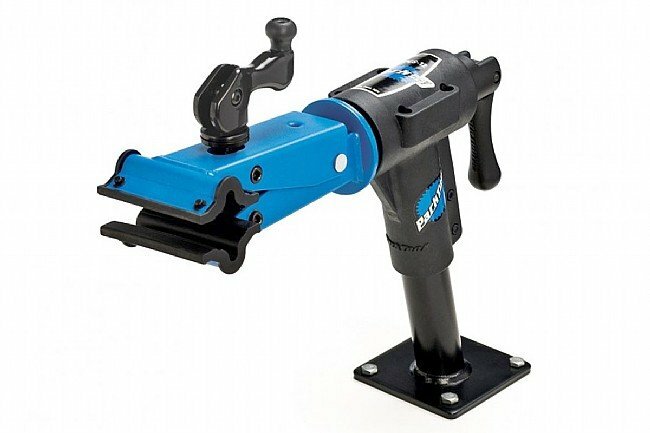 The perfect addition for your workshop, this bench mounted version of Park's popular PCS-10 Home Mechanic Repair Stand features a quick adjusting cam-type clamp that fits tubes up to 76mm and rotates 360 degrees for easy access to any part of the bike. Clamping pressure is fully adjustable to prevent damage to thin walled tubes. Durable powdercoat finish. Mounts to any flat surface (mounting bolts not included).